Of course my order was wrong. I’ve been ordering the same item dozens of times over the past six years. I don’t get creative with the menu. I find something that works and I stick with it. Small. Number one. No onions or cilantro. So I sit at the table with a streaming bowl of Pho filled with cilantro and onions. This scene has played out so many times that it doesn’t faze me anymore. Flip a coin. Even odds that I’ll have to send it back. My last three visits? Zero for three. They never hassle me, but I know that incredulous look that says, “Who does this American think he is eating Pho without onions or cilantro?” It’s like going to Fat Burger and ordering a salad. And yet, I continue to return. Marketers like to say that consumers “vote with their wallets”. In that case, I’m encouraging poor service. But I return time and time again. 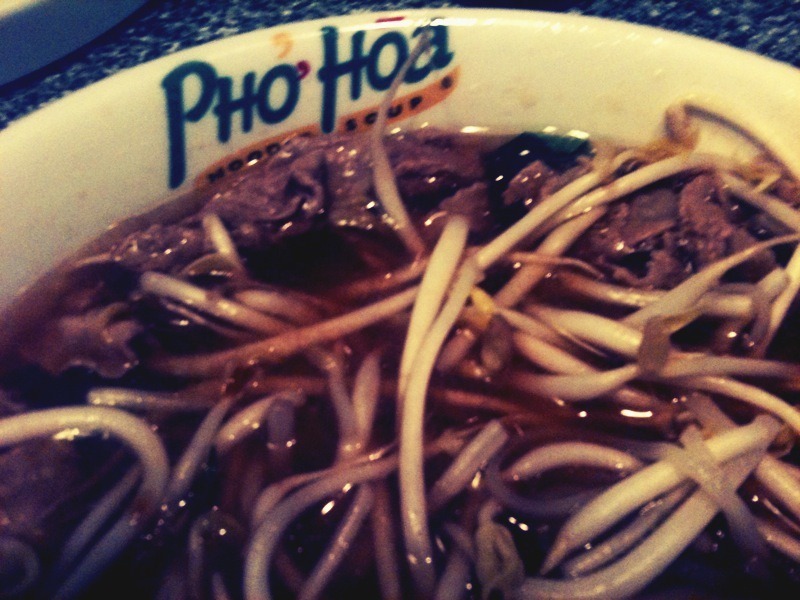 Because, when I finally get the bowl of Pho I ordered, it tastes and smells so dang good. Well worth the extra wait.